Until a visit to ICE! 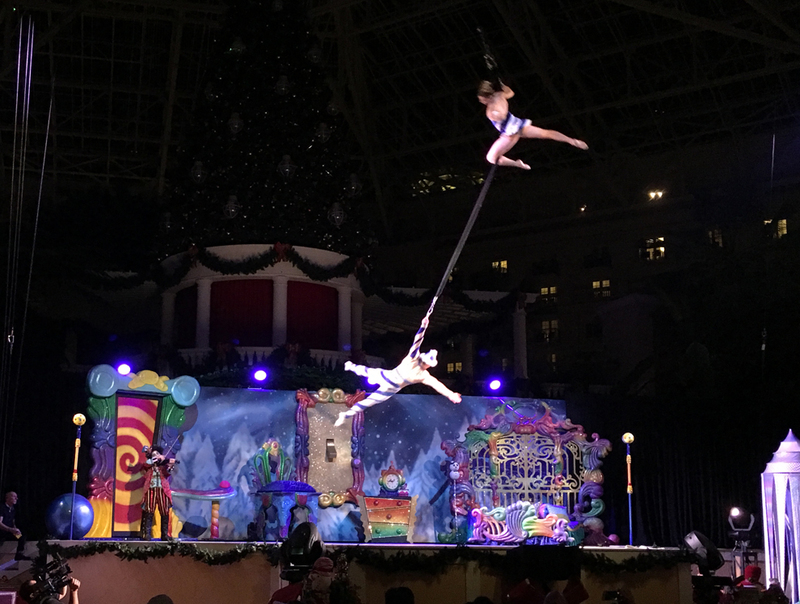 featuring ‘Twas The Night Before Christmas At Gaylord Palms! 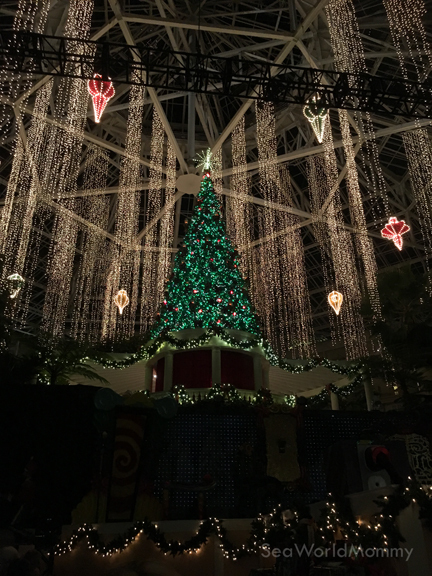 From the moment you arrive at Gaylord Palms you know you’re in for a holiday treat. The building is draped in gorgeous lights and the sights and sounds on every corner welcome you to the season. The atrium in Gaylord Palms is spectacular year-round, but for the holidays it literally drips with lights (over 2 million of them!). Guests enjoy a feast of festiveness centered around their glorious 54-foot tree. Cascading white lights seem like snow falling all around it and, with a dose of holiday magic, the atrium really does “snow” nightly, turning the atrium into one gigantic snow globe! More holiday magic unfolds with Cirque Dreams UnWrapped.” This fantastical nightly performance (free to the public) blends artistry, acrobatics, gymnastics, theatrics and a whole lot of holiday fun. Because of the performers rotate, each night the show is different, showcasing various incredible skills and feats. 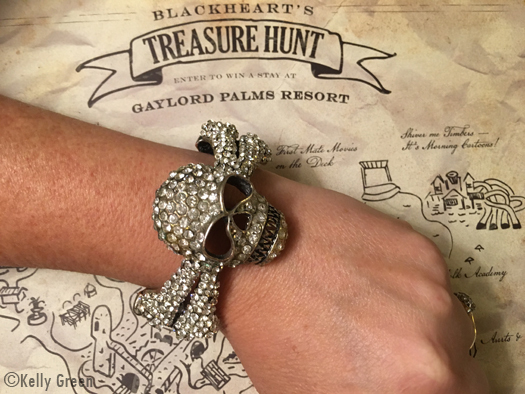 All around the resort, guests can participate in the Elf on the Shelf scavenger hunt. Kids (and big kids!) will delight seeing just where the mischievous little guy is perched. Get your “I Spy” skills working as you discover all of his spots. The main attraction is ICE! The first time I saw ICE! years ago, it almost didn’t seem real. Artisans carve towering blocks of ice into every imaginable shape. 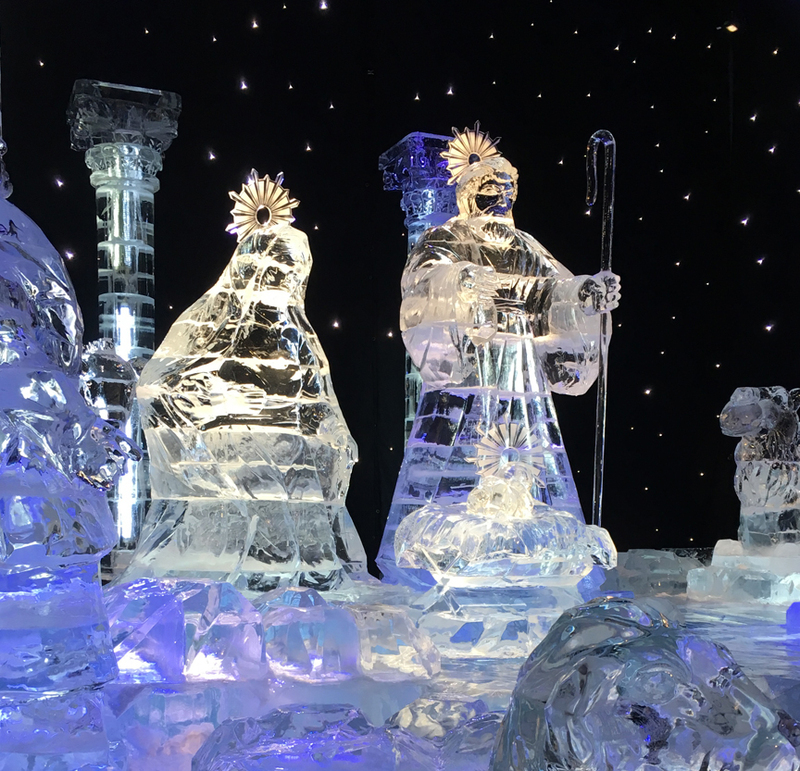 This year I was invited to be an “ice-pert” and enjoyed watching the spectacle progress from the day the team from Harbin China arrived through to the grand opening for the season. 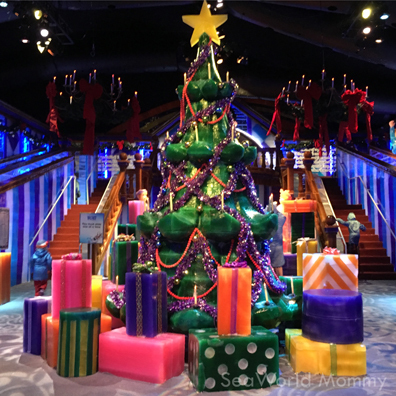 The blank canvas blocks of ice are now ice slides and a tree with presents. For 2015, the theme is ‘Twas The Night Before Christmas. The classic story unfolds room by room. Guests will marvel at the incredible detail of each piece, from reindeer horns to a plate of milk and cookies for Santa. 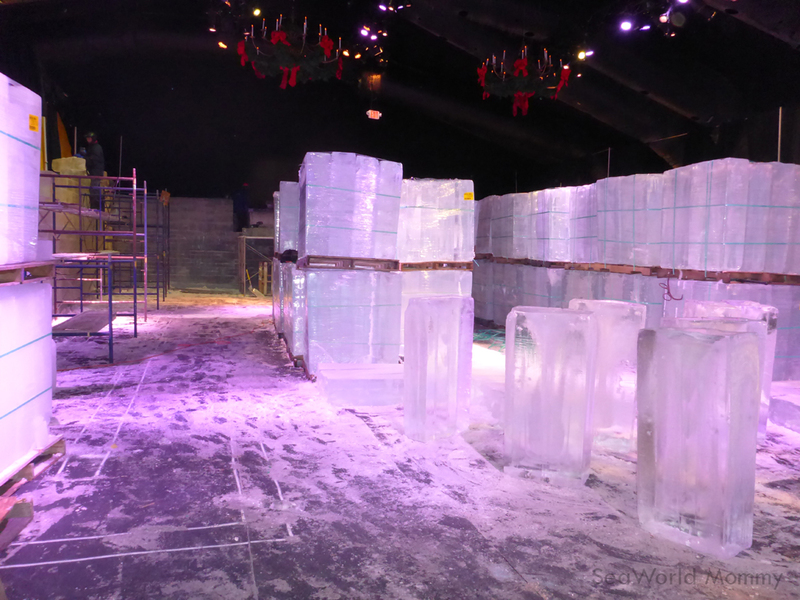 Not only are there amazing sights at every turn, but ice slides and even an ice bar! My 8-year-old is particularly fond of one of the add-on activities: Alpine Rush Snow Tubing, an eight lane tubing hill that’s covered in REAL SNOW! While I enjoyed going down a few times, he’s been down probably 75 times now (we keep coming back!). 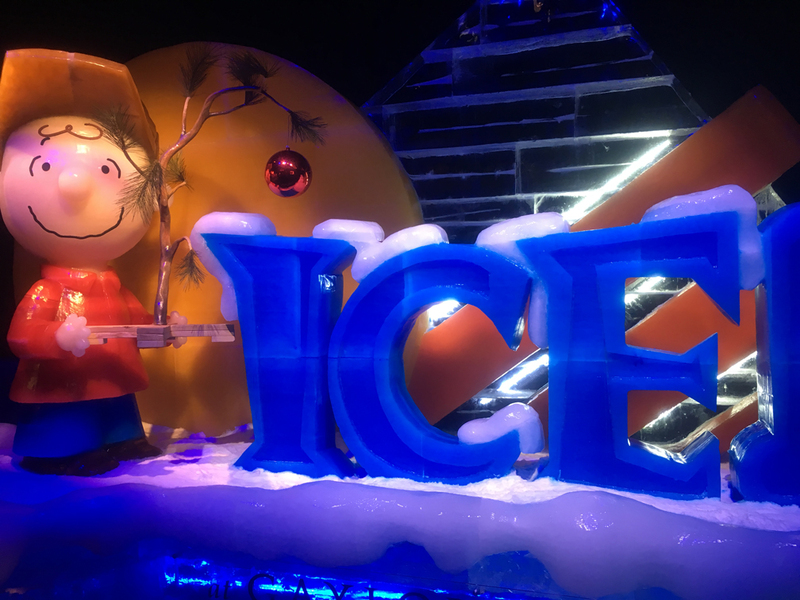 There’s no shortage of holiday happenings at Gaylord Palms Resort for the holidays, and since the days leading up to Christmas are forecast for upper 80s, a trip to Gaylord Palms Resort will give you a chance to not only delight in some of the most magical holiday events of the season, but will give you a wintry chill too! Disclosure: Our family was invited to preview ICE! featuring ‘Twas The Night Before Christmas and received a night’s stay plus admission to holiday activities and food. All opinions are my own. Contributing to various blogs in addition to writing for my own is a lot of fun. It’s great being on a team while still keeping my own point of view. 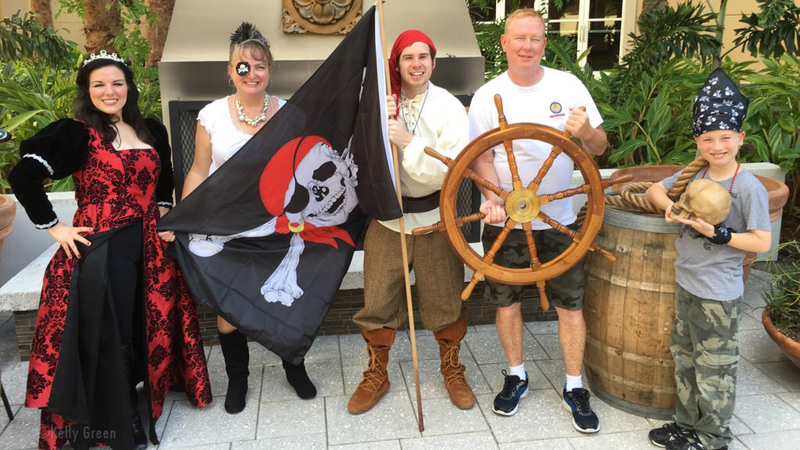 Recently my friend Lee Allport asked me if I’d enjoy visiting Disney’s Swan and Dolphin as her representative at a weekend celebrating La Nouba’s 2,000th performance at Disney’s Springs. 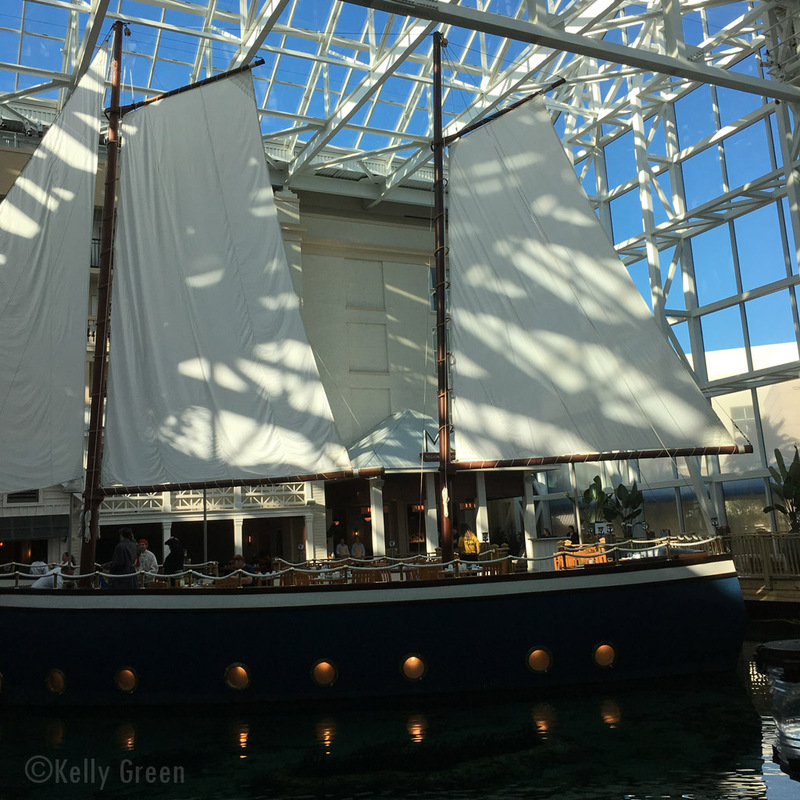 In my first post I shared about the impeccable Swan and Dolphin hotels, some incredible food including Todd English’s Blue Zoo and Cib’s Smokehouse. I had a bit of adjectival inadequacy, however. There are only so many words for yummy (or beautiful as in the case of the resort). Continue reading all about my experiences at Walt Disney World Swan and Dophin, Blue Zoo and Cib’s Smokehouse here and join in on the (contributed) adventure! It’s no wonder why families flock to Central Florida for vacation. We have no shortage of excursions, activities, and fun all wrapped up in golden sunshine. The trick is figuring out where to stay and when to visit that ensures your family’s holiday goals are met. If that wish list includes a condo-like setting, plenty of on-property activities, free WiFi, and proximity to both the theme parks and major arteries to the rest the area has to offer, then Orange Lake by Holiday Inn Club Vacations may just fit the bill. Recently our family had the pleasure of being hosted for a 3-day visit to Orange Lake in Kissimmee (and we’re already planning a trip back!). 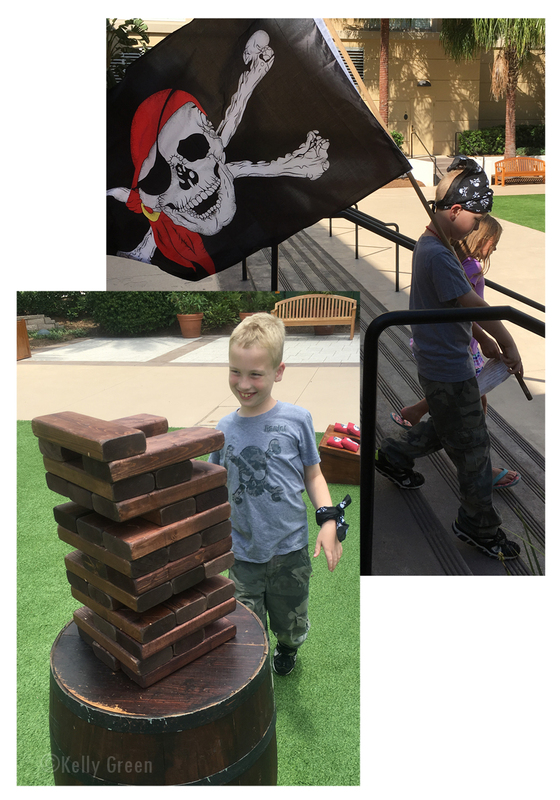 We got to see first-hand the amenities and activities that keep families coming back year after year. Never one to shy away from introducing myself to strangers to find out how they really feel about a property, restaurant or attraction, I made a point to talk with fellow guests about their likes, suggestions, and thoughts and found the common thread was “loyalty.” Of the dozen families I spoke with, all but one had visited before, some had been “more than a few times”, and one family had been coming back since their now adult daughter with kids of her own was a child herself. That kind of devotion means a lot in the travel industry! Speaking of golf, they have 4 distinct courses including the only Arnold Palmer Signature course in Central Florida open to the public (click here for more information or to book your tee time or call 407-239-1050). We didn’t get a chance to do the courses, but did enjoy shooting our bucket of balls on the driving range. Our son hits surprisingly far, for the record! 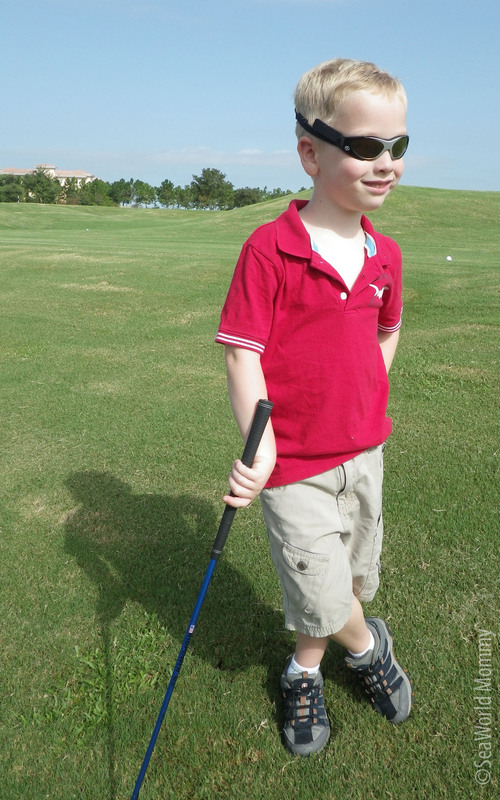 He’s also pretty good at mini-golf, and Orange Lake has two courses, each with two sets of 18 holes. We putted on each and every one of them, a couple more than once! Guests can buy rounds on the mini courses “as you go” or through a multi-day Play Pass that can also include the Giant Hippo Slide. If you’re not doing the theme parks every day, I highly recommend getting a two-or three-day activity pass. 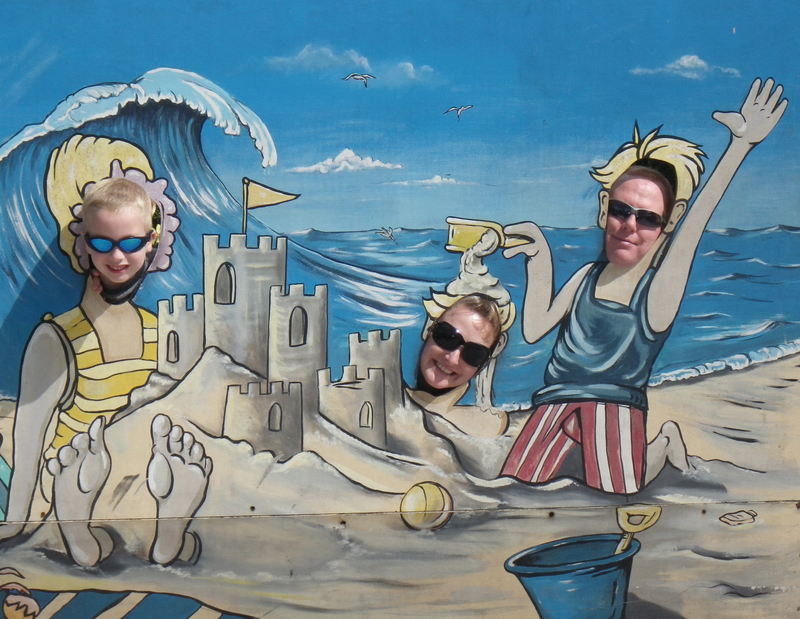 We wore ours out on the mini golf and of course the Slide! (I kid you not: My son went down it no less than 30 times in one day alone!) Side note: The resort is a cashless environment. Everything from food to activities is charged through your room which really makes it easy! Other activities include water sport rentals (we did the paddle boat), and others such as powered boats and jet skis. 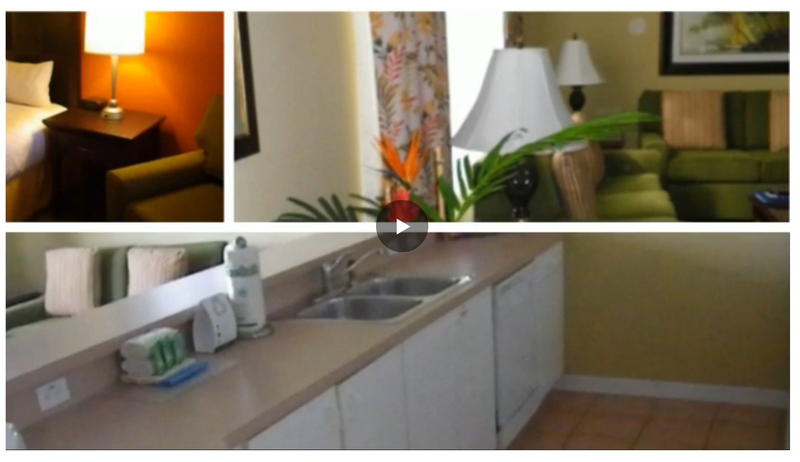 The unit we stayed in featured two bedrooms, two baths, and a full kitchen. Plates, dishes and all the basics are provided. On our next visit I’ll remember to bring prep helps like cooking spray, spices, etc., but when you’re used to hotel rooms with only a mini-fridge and microwave at most, a kitchen is great selling point for budget-minded families or those like friends of mine who have a laundry list of food allergies and home prep is a must. And on the subject of laundry, there’s a washer/dryer set in the unit, too, so it’s easy to stay on top of things while you’re there so mama (or dad, as the case may be) doesn’t have tons to do the moment you get back home. 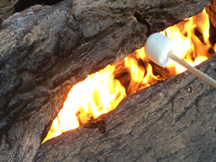 And if you don’t feel like cooking, there are 9 dining options on property. The pools were, by far, the biggest “lets-go-back” factor for us. 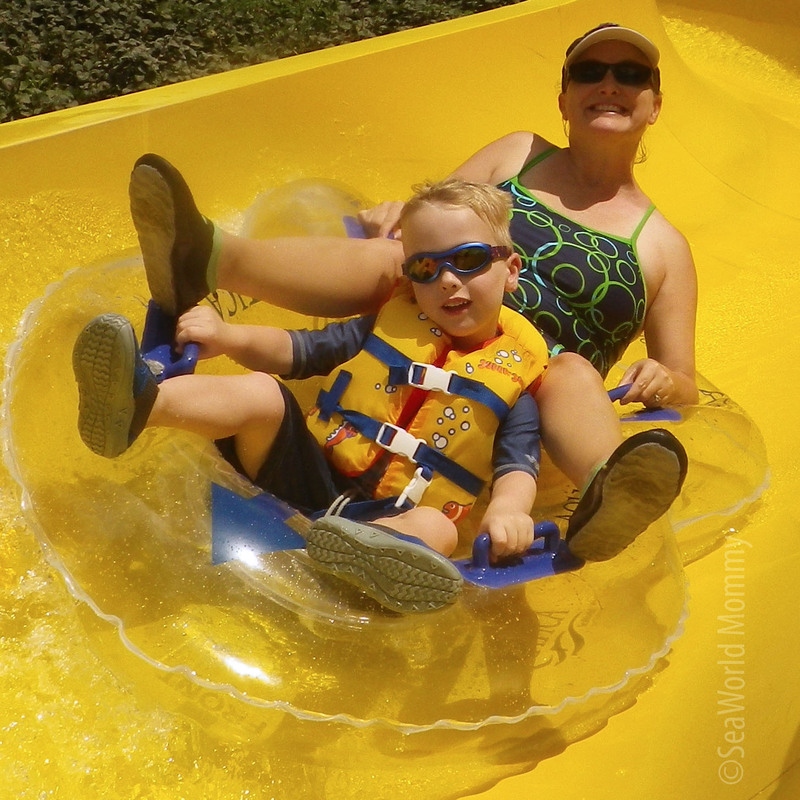 There are 6 to choose from with choices ranging from mild and relaxing to slip-sliding fun! (One guess on which ones my little man voted on!) There’s a winding “lazy river” one (with inner tubes available for rent) where we spent an inordinate amount of time, and ones with big slides, and twin kiddo slides. There was no shortage of group activities, and water volleyball games seemed to pop up all day long. It was at the pool area where we said goodbye to Orange Lake. After checkout, we decided on one last swim that ended with one member of our party with a wet face not from the pool, but from tears shed for having to leave. Click on “Book a Stay” at http://orangelake.com/ and plan your next fun-packed vacation in Central Florida. Disclosure: My trip was sponsored by Holiday Inn Club Vacations, who provided a two-night stay in exchange for my honest review. All opinions are my own. As I’ve looked through the options by hotels and my favorite restaurants, I find they’re not lacking in variety. From Winter Park and a once-a-year special coffee at Barnie’s Coffee Kitchen (recipe at end of post) to Orlando and some of the finest hotels, it seems that mama can be very happy. The only downside: Deciding where to go! Fiorenzo Italian Steakhouse at the Hyatt Regency Orlando offers a full spread of all mom’s favorites, including sparkling wine, juice and tea. Of note to this foodie: Wild Atlantic Stripped Bass Barigoule. One: it’s seafood (that I adore), and two: there’s artichokes. What’s not to love? If seafood’s not your thing there are tons of carved meats, and some chef’s creations made to order including Eggs Benedict and Eggs Victor (a version of Eggs Benedict using ham, Swiss cheese and a Mornay sauce. I had to ask. Don’t judge.). They will also be whipping up pasta and risotto, too. And I have to say house-made vanilla and espresso chocolate gelato sound mighty nice…. Speaking of coffee, if you enjoy a quality cup now and again as I do, head over to Barnie’s Coffee Kitchen in Winter Park. 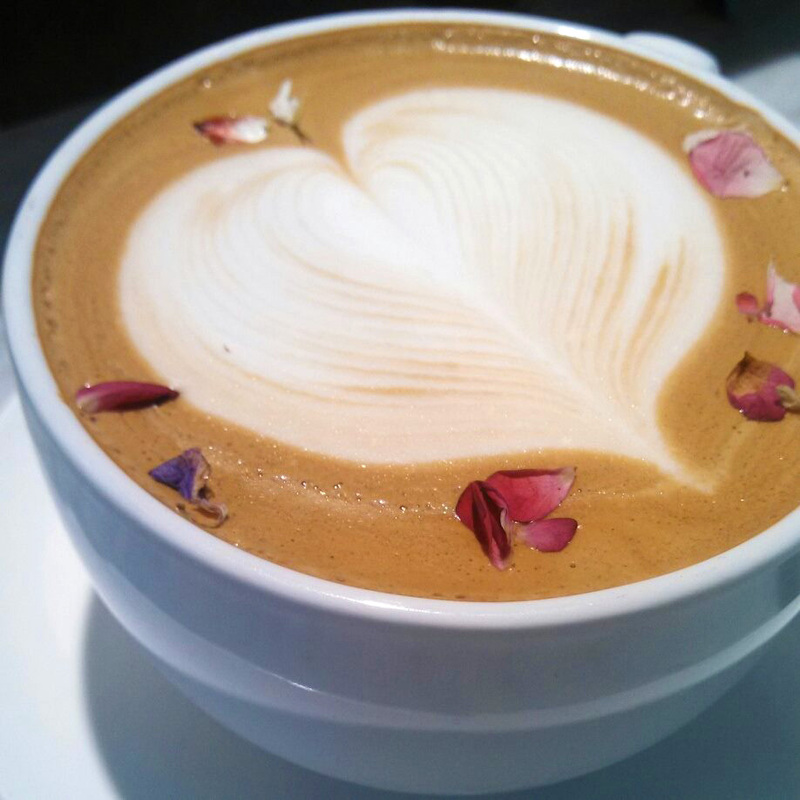 Their Mother’s Day offering includes a special cuppa brewed and prepared exclusively on mom’s big day… The Vanilla Rose Latte! Those foam-swirled drinks always look too good to drink (but somehow I manage… and I think you might, as well). I’ve always enjoyed the buffet at Tradewinds at the Renaissance Hotel by SeaWorld. I’ve piled many a plate high with their made-to-order omelets and my son really “digs” the pancake station. (Chocolate chips IN the pancakes? Yes, please!) The Carving station (from 8 a.m. to 2:30 p.m.) includes Winter Park Honey Glazed Ham and Prime Rib. 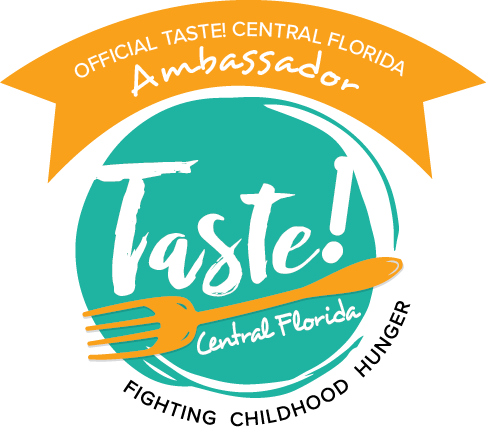 A few things stand out for me browsing the Rosen Centre menu: Artichoke & Mushroom Salad with Lemon & Basil (again: LOVE artichokes), and a Banshoo Sushi station featuring Chef Yoshi’s Signature Rolls, California Rolls and Spicy Tuna Rolls. Is it just me or is sushi just FUN to eat?! Also on the menu is Pinot Noir Braised Short Ribs with Julienne Vegetables (which makes me thirsty AND hungry at the same time). They’re also serving a specialty of Harry’s Poolside Bar & Grill: Chimichurri Crusted Flank Steak. So many options, so little time. For a more laid-back Mother’s Day, visit Marlow’s Tavern in Winter Park. They’re known for their Sunday Brunch. 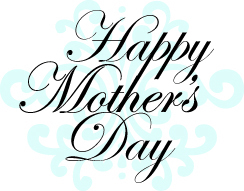 On Mother’s Day they will have their regular menu items, plus a la carte brunch entrees. I’m kind of partial to the Bloody Mary bar they do so well, but on Mother’s Day perhaps one of their other specialty cocktails are worth a try while sitting out on their patio. Nah. Who am I kidding?! I love the Bloody Mary Bar! Oh, and did I mention Crab Cake Benedict?! Another hotel option, is at Rosen Plaza. A hot buffet has a Mojo Spiked Pork Loin and Cornish Game Hen with Wild Rice and Forest Mushrooms to name a couple. Also available: an Antipasto and chilled salad bar, omelet station, and carving station with prime rib and glazed ham. All these options are making me hungry! I don’t know about you, but I’m going to have a tough time deciding on where to go this Mother’s Day. Will it be a favorite? Or should we try something new? Or will my husband and wonderful son make me breakfast in bed (including a special Vanilla Rose Late and champagne)? Browses through this small sampling of the offerings in and around Central Florida. Where will you go? Please post your ideas! And Mama… wherever you spend your day: Be Happy! Sunday hours 7:00 a.m. – 6:00 p.m. Seating available 11:00 a.m. – 4:00 p.m.
$64 per person, plus tax and gratuity; $32 children ages 5–12. $69 per person, plus tax and gratuity; $34.50 per child ages 4–12. Open Sundays from 11:30 a.m. to 3:00 p.m.
Brunch from 6:30 a.m.– 2:30 p.m.; Carving station from 8:00 a.m. – 2:30 p.m. Seating available 11 a.m. – 5:00 p.m. Seating available 11:30 a.m. – 7:00 p.m.
and petals on the place setting. Kid models in magazines always look so polished (as do models of any age, I suppose). They’re smiling, never having a tantrum, and if they are running pell-mell in some sporting or roughhousing activity, they certainly have no accessory malfunction. If they are wearing cool shades, they are NOT falling off. Their glasses are chosen for looks and for style, with doubtful much consideration for practical things like UV rating, durability, or EEEK cost. Thankfully Real Kids Shades has a line of children’s eyewear that takes a mom’s wish list into consideration and is not short on either form OR function. ★★★★★ Flex Duo—The Flex Duo has 100% UVA/UVB sun protection as well as a wrap-around design that keeps peripheral sunlight to a minimum. Their extremely flexible frames in cool two-toned colors hold up to the abuse kids throw at them. We took our Flex Duos on our summer staycation in and around Central Florida. 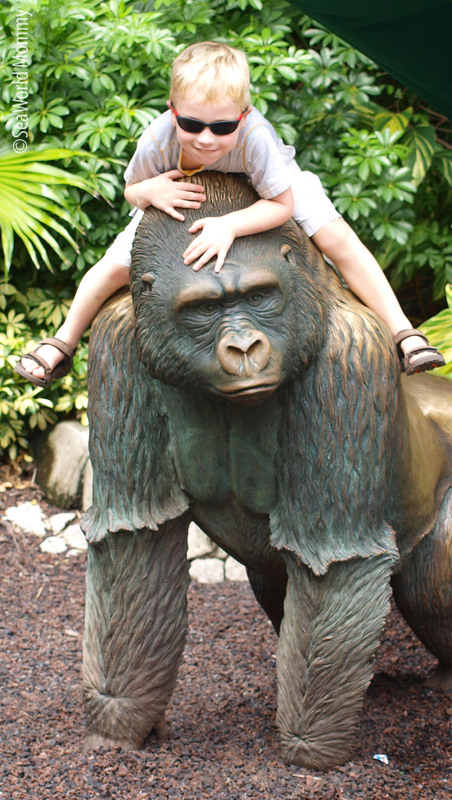 Our Flex Duos went to Busch Gardens in Tampa and Dinosaur World in Plant City, near Lakeland. 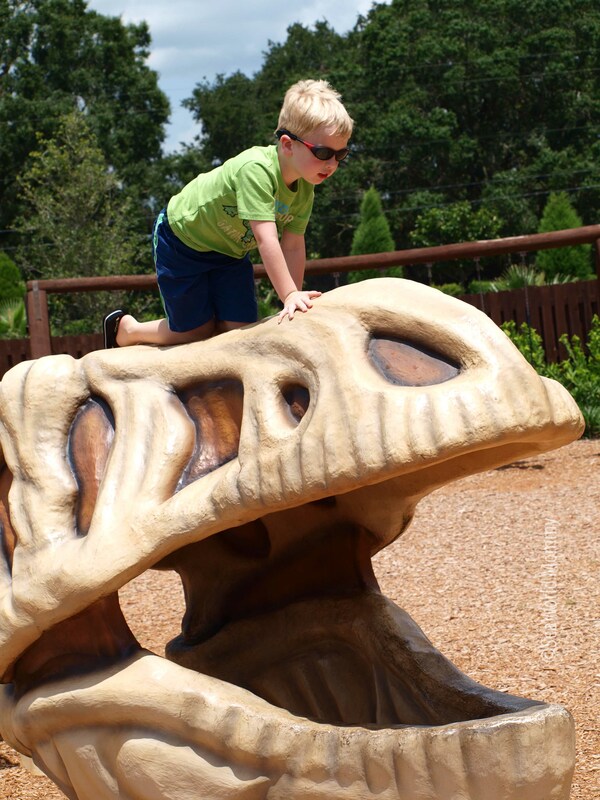 Whether climbing on play equipment or scampering up dinosaur bones, they stayed put, which is key in our bright Florida sun. A neoprene strap is included which we found to be a vital accessory. How many kids sunglasses are lost because they are dropped or left behind? Despite having an issue with the strap being too snug to fit over the ends (the first one), we still give this style 5 stars, as the company quickly sent out a replacement. Daniel, age 5, said they were comfortable to wear, and “didn’t hurt at all.” He thought the colors were “cool,” and even when he wasn’t wearing the band they stayed put through lots of play. He gives the Flex Duo two thumbs up. ★★★★★ Xtreme Sports—With shatterproof, impact-resistant polycarbonate lenses, the Xtreme Sports model is ready for action! Our kiddo took them through their paces on his bike. The wraparound design with mesh back is perfect for wear with helmets. There are even anti-fog vents for sweaty kids (like mine) who don’t want to get all fogged up while pretending to be Evel Knievel (with, ahem, training wheels). “I don’t like it when my eyeballs are sweaty,” he said. “The pad on top is good,” said Daniel, referring to the foam-backed polycarbonate lenses. Not only does it cushion little active faces, but it keeps out more light and prevents sweat from dripping down into his eyes from his forehead. He also wore them out on the golf course running after balls and into more than our fair share of sand traps at beautiful Shingle Creek. Out on the 14th hole he had the best of both worlds. He was protected. And he looked CUTE! 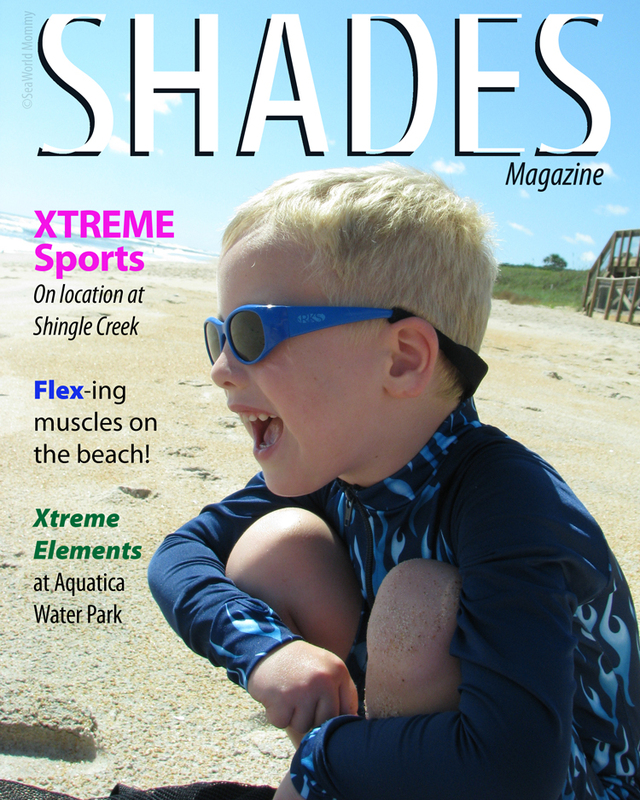 ★★★★ ½ Xtreme Elements—Off to the beach, splash park, or waterpark? Then your kids need Xtreme Elements. These glasses protect kids eyes from the sun and the elements (i.e. water and sand). 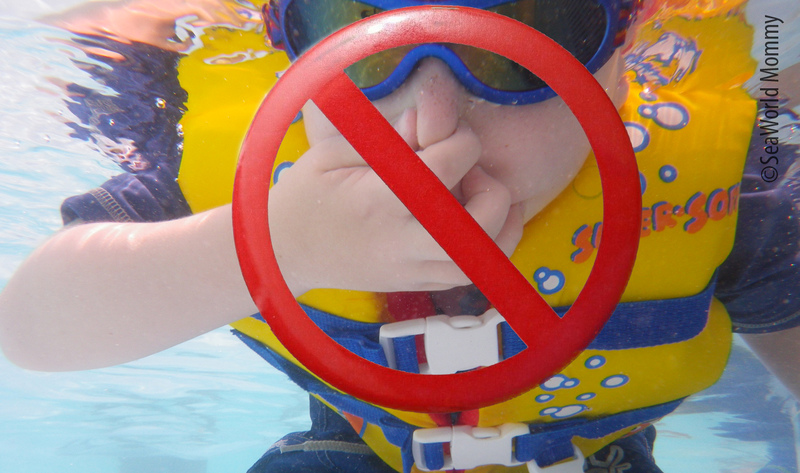 Note, however, that they are not goggles and therefore are not designed to be submerged in chlorinated water. Yes, they’re perfect for splash pads, waves, and sprays, but they’re not to be worn as your little guppy tries to see how long he can hold his breath in the pool! The foam protects eyes from water and other elements from rolling down into their eyes, but it doesn’t seal out water and is not meant to be used under water as extensive subjection to chlorine could break down the foam gasket. That said, Daniel thought they were “way cool” (we have the blue flame style) and he loved that the neoprene headband made them float (just like him!). If the foam gasket were designed to withstand the summer pool and SeaWorld, Aquatica schedule a little longer, it would have received 5 stars. They are by far Daniel’s favorite to wear, despite the slight gasket issue. ★★★★ Flex—The bendable rubberized frames make the Flex glasses super comfortable to wear. The boy and girl versions have distinct lens styles. The boy frames are more sleek, while the girls have that big lens “movie stahhhh” vibe. Shatterproof polycarbonate lenses ensure safety along with that style. When worn with the included neoprene strap, they stay firmly in place. Our one caveat to these was that when not worn with the strap they were quite loose. Bendy is good, and my son wears these in the car, and on the beach. I do insist the strap is on, as I can see these coming off in hard play (and that’s the only kind we seem to have around here!). Why Have Your Children Wear Sunglasses? I started Daniel in sunglasses when he was a baby. My nephew had retinoblastoma and he lost one of his eyes. While glasses would not prevent this type of blindness, it made me start reading about how important it is to protect children’s eyes, if not for now, but for their future. 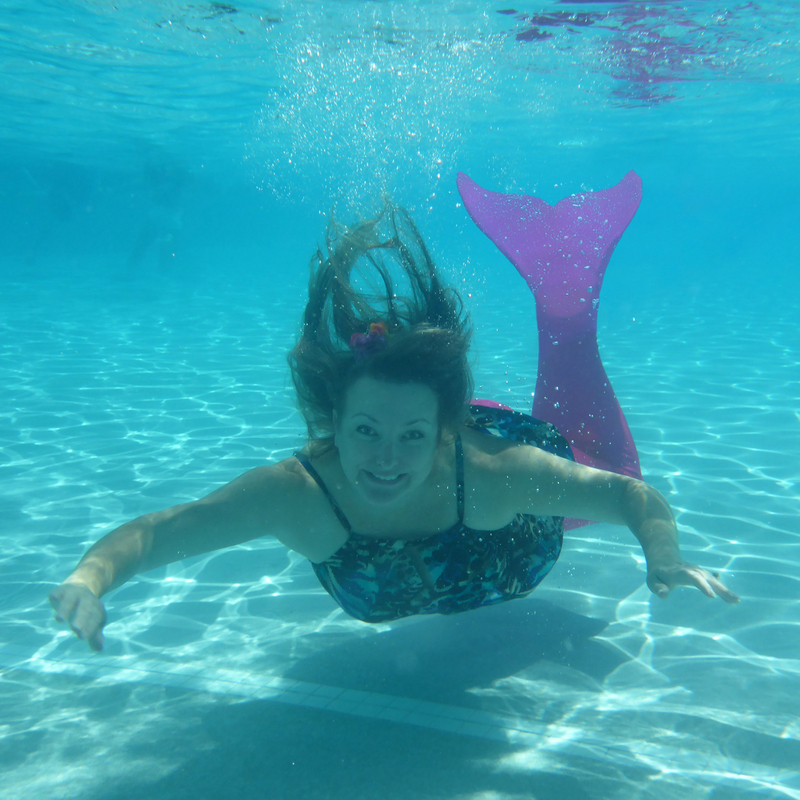 I interviewed a few lifeguards at Aquatica about kids and sunglasses. Adrian, from Jamaica, said he estimates only 6% of kids he sees each day wear sunglasses. “There are way more adults wearing sunglasses than kids,” he noted. In an unscientific tally I found a similar percentage of child usage, while about 40% of adults were protecting their eyes (although many were, no doubt, concentrating only on the style). Set a good example for your kids and YOU wear sunglasses each and every day. While it doesn’t hurt to look stylish, focus on safety. Choose a brand that blocks block 100% of both types of ultraviolet rays, UV-A and UV-B. A UV 400 rating is best. Make it a habit to put them on your child, even if he (or she) doesn’t like it at first. It’s a habit to grow into. And if you get some of the great offerings sold at Real Kids Shades, they’ll not only be as safe as possible, they’ll look great on their closeup! Note: I contacted Real Kids Shades about reviewing their product as it was “right up our alley” as a travel-loving family insistent on sun protection. I was provided samples which we evaluated during heavy use over the summer. This review was written after field testing and is my opinion. The 5-year-old reviewer was paid $1 to sit still long enough to tell me what he thought.